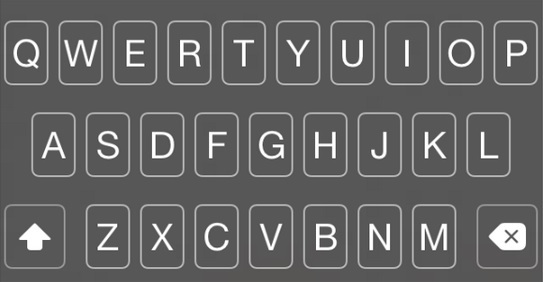 With the release of iOS 7.1 Apple introduced a new keyboard style for the lockscreen, which appears when you enter your passcode. This new style is exclusive to the lockscreen and there’s no way of having it on other parts of the operating system. Well that’s only true if you are not jailbroken as a new Cydia tweak called LockKeyboard makes it possible for iOS users to have this new design of the keyboard system-wide by installing a simple hack from the store. LockKeyboard has been released by HASHBANG Productions and is still in beta. You can download it from HASHBANG’s private repository for free. There are no settings to configure for this tweak and it starts working right after you download it. FYI, it also works on devices running iOS 7.1.2. What makes this keyboard style different from the stock iOS keyboard is the dark mode and the difference in appearance of keys. Please note that the tweak is still in beta, so you may experience some bugs. In our tests the tweak worked without any issues.